Arthur A. Levine Books, 9780545638265, 384pp. In all of Tyme, from the Redlands to the Grey, no one is as lucky as Rapunzel. She lives in a magic tower that obeys her every wish; she reads wonderful books starring herself as the heroine; her hair is the longest, most glorious thing in the world. And she knows this because Witch tells her so -- her beloved Witch, who protects her from evil princes, the dangerous ground under the tower, even unhappy thoughts. Rapunzel can't imagine any other life. Then a thief named Jack climbs into her room to steal one of her enchanted roses. He's the first person Rapunzel's ever met who isn't completely charmed by her (well, the first person she's met at all, really), and he is infuriating -- especially when he hints that Witch isn't telling her the whole truth. 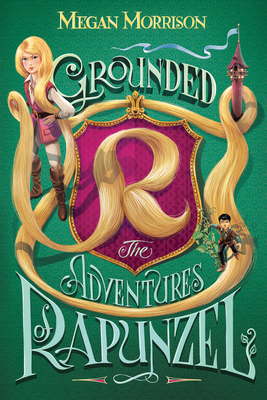 Driven by anger at Jack and her own nameless fears, Rapunzel descends to the ground for the first time, and finds a world filled with more peril than Witch promised...and more beauty, wonder, and adventure than she could have dreamed. Megan Morrison is a middle-school drama teacher and a writer. She cofounded the Harry Potter fanfiction site the Sugar Quill, and has been developing the world of Tyme since 2003. She lives near Seattle, Washington, with her family. Please visit her website at www.meganmorrison.net and her blog at makingtyme.blogspot.com, and follow her on Twitter at @megtyme.